The state of Texas has issued a Cease and Desist order to BitConnect banning lending and trading on the BitConnect platform. Again, this only applies to the state of Texas. Why is this happening? Well, first of all, all states have rules. Texas thinks it is a country of its own. 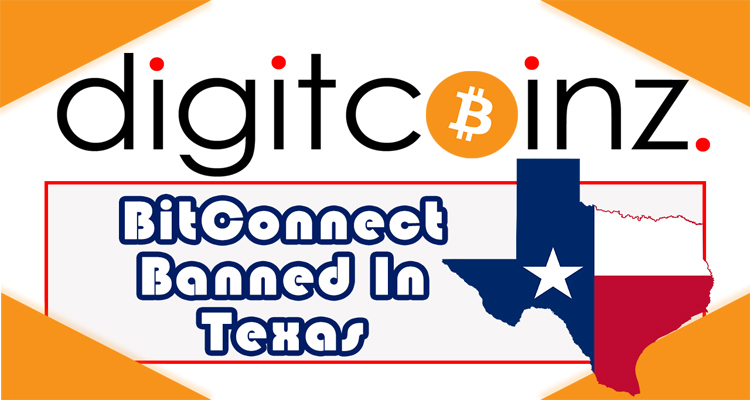 BitConnect is viewed as a “stock” in Texas (like Bitcoin) and Texas rules say that it must be registered as such. OK, no big deal. Hint: If you live in Texas, use a VPN service and continue using BitConnect. There are many free ones. I also see this move by the state of Texas to keep poor people – who see an opportunity to become financially independent of banks, big businesses, and corporations – in check and under their power and control making the poor and powerless dependent upon them and their crumbs.